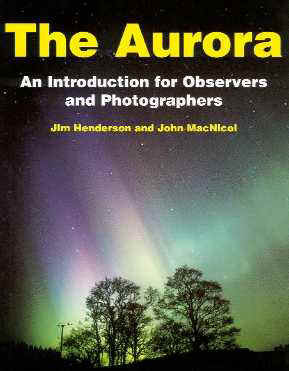 This web page is being developed to record aspects of Astronomical History of the Aberdeen Area. Please email , or contact directly, if you have ideas, information or leads to assist this task. Gill was educated at the University of Aberdeen. In 1862 he was allowed to use the small telescope at King’s College Observatory after returning to Aberdeen. He also acquired a 12-inch (30.5 cm.) reflector for the College so he could try to determine stellar parallaxes. [ source ]. Physicist and astronomer James Clerk Maxwell gave classes at Marischal College [ source ]. The present observatory was fitted out with its first set of modern refracting instruments in the 1860's. The instruments have now been relegated to the University museum and in 2000 refurbishment of the twin domes began with up-to-date reflecting telescopes. After years in which the main use of the observatory has been meteorological, a program that will establish astronomical observations is being put together. Lord Lindsay's new Observatory at Dun Echt, which was 12 miles from Aberdeen. David Gill was invited to became directory of the observatory in 1872. Gill was given the task to equip and supervise the construction of this new Observatory, which Lindsay insisted on being the very best possible. Brück, H.A., 1992. Lord Crawford’s Observatory at Dun Echt 1872-1892. Vistas in Astronomy 35: 81-138. Lindsay, [Lord] and Gill, David, 1877. Dun Echt Observatory Publications, Volume 2. Dun Echt Observatory. P. J. Anderson, "Records of the Marischal College and University", Spalding Club 1884, 3 vols. G. Forbes, "David Gill, Man and Astronomer", London 1916. H. A. Bruck, "Lord Crawford's Observatory at Dun Echt 1872-1892" in Vistas in Astronomy 35, 1992.